Even though it’s nearly 17 years since the 9/11 terrorist attacks, footage of this world changing event still has the power to shock and devastate. One fragment of firsthand footage has gone viral once again, taken by then New York University student, Caroline Dries, from the 32nd floor dormitory at 200 Water Street. Caroline has since gone on to become a successful television writer and producer, working on hit shows such as Smallville, Melrose Place and The Vampire Diaries. However, the footage she took as a young student has since become an important historical record; capturing the fear and horror experienced by onlookers witnessing the deadliest terrorist attack to ever be carried out on US soil. 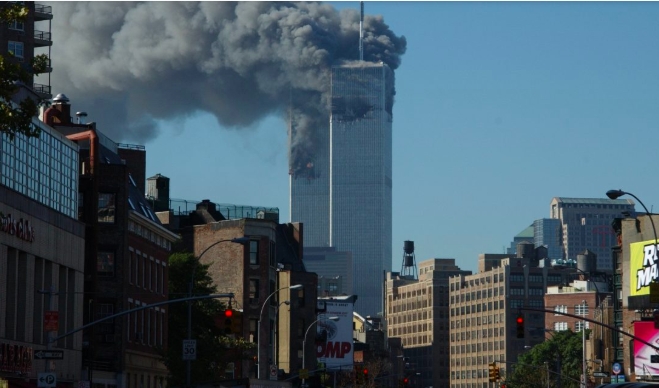 The video, currently trending on Reddit, begins with Caroline Dries, along with her roommate Megan, looking out from their dorm window at the World Trade Center, as black smoke billows from the top of the North Tower. Megan can be heard on the phone to her mother, trying to explain the situation despite her confusion. She describes how she can see ‘what looks like paper’ falling from the 1,368 foot structure. We hear the flatmates switch on the news and witness their initial reaction to the revelation a plane had crashed into the World Trade Center. 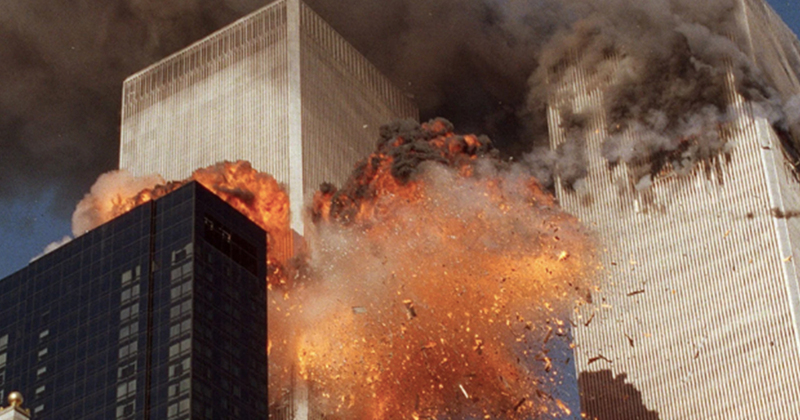 Suddenly the two women scream in terror, as the second plane – which they realise is a jumbo jet – hits the south tower. It’s now clear this is no accident. Footage shows their panic as they grab their belongings and exit the apartment. That feeling of being so vulnerable was so overwhelming; and so, we ran out of the apartment, took the elevator down to the street, and it was just kind of pandemonium with no one knowing what [was] happening. It took kind of ten years for me to understand why this footage is special. People, I think, want to remember the details clearly and to hold onto it because they know how significant it was. Sometimes I think it would have been nice to have not filmed it — to just have run and let time kind of erase all the details and it would have gone a little faster. Later on in the footage, it shows Caroline and Megan return to their apartment after feeling even less safe out on the street. However, there’s fresh horror to come when the towers collapse, filling the city streets with thick, dark dust clouds. Our thoughts are with all those affected by the terrorist attacks on the World Trade Center in New York on September 11, 2001.